So rich. So creamy. 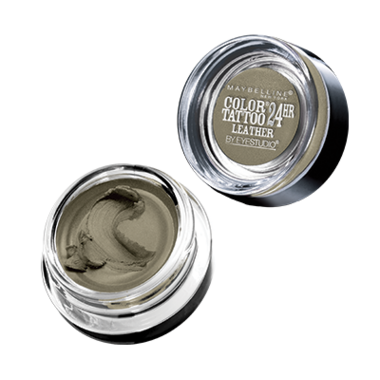 Only Maybelline's cream gel eye shadow formula gets the look of couture leather so right! I have this in taupe and chocolate suede. The taupe is great for all over the lid. I purchased the chocolate suede. It is a darker brown and I use for lining. Does not smudge. Easy to apply but does smudge somewhat during the day. I purchased two colors and find that they are not very deep. Would not purchase again. Great product. Very smooth and easy to apply. Long wearing. Stays on VERY well, the line has a lot of great colour options, and the packaging is small & convenient. I have purchased so many of these! 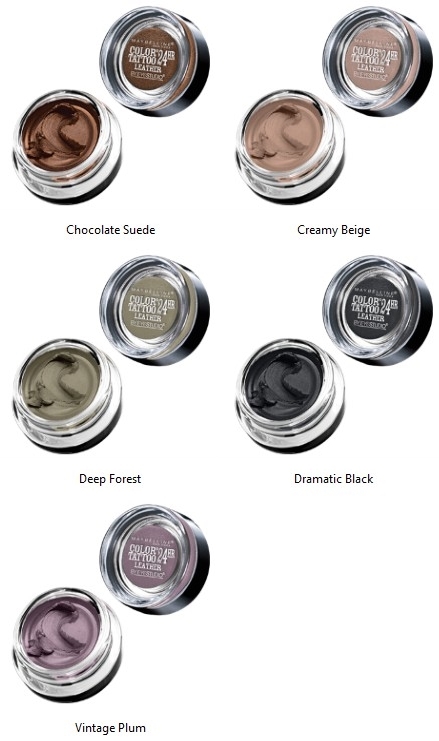 They are fast becoming my favourite eye shadow option! Fans of the original Colour Tattoos will love these too. I picked up Chocolate Suede (chocolate brown with fine golden shimmer) and Vintage Plum (lavender putty grey.) I found that Vintage Plum felt a little bit drier, a swatched a little on the patchy side, but applied well and works as a great base with taupey shadows.